FERNIE, BC – Bring Your Porter to the Slaughter reports that Fernie Brewing has brought back a limited edition seasonal brand. Our dark and delicious Coffee Milk Stout is made with locally roasted beans from our friends at Crowsnest Coffee Company and is so smooth that you might just find yourself sipping it at breakfast. Using their signature Bushtown Blend, the coffee beans are added directly to the mash, along with a decadent amount of chocolate, Black Prinz and Roasted Malts. A touch of lactose powder gives the Stout a creamy smoothness and allows the flavours of chocolate and coffee to come through. 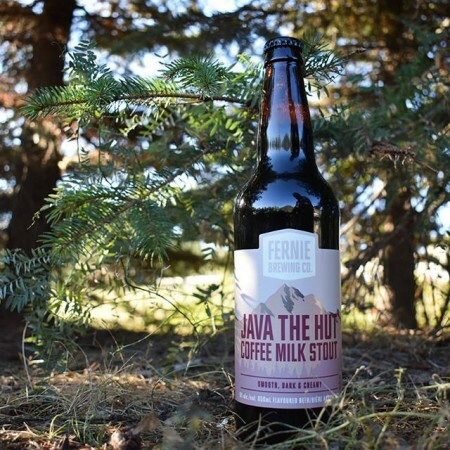 Java The Hut will be available at the Fernie store and taproom, and select beer retailers and bars in British Columbia and Alberta, through the autumn and winter months.